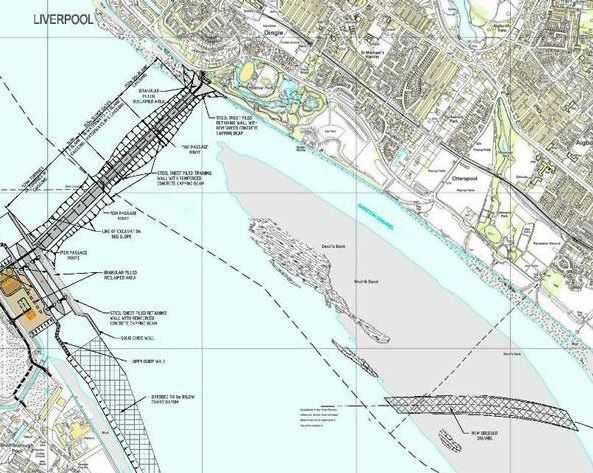 It seems that a scheme to harness tidal energy from the Mersey is getting closer and, although there is no preferred option yet the previous proposals were very damaging to the estuary's birdlife. 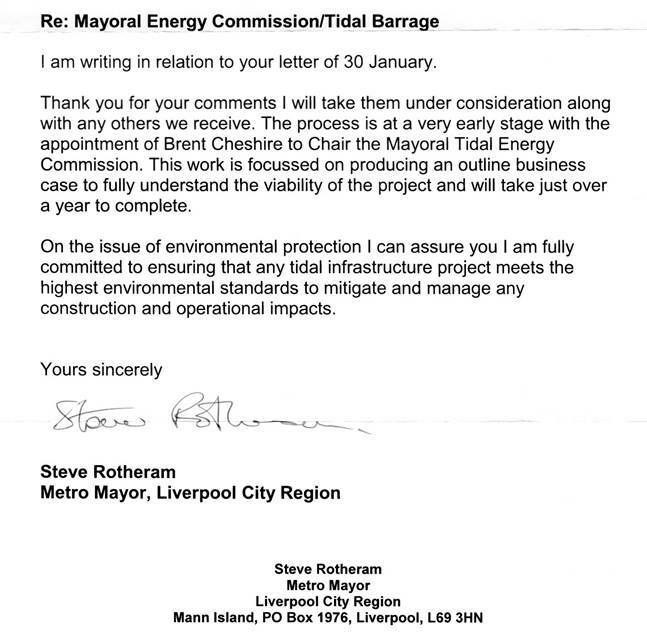 Therefore you may want to email Steve Rotherham the Liverpool Metro Mayor expressing your concern. The only email I have is info@liverpoolcityregion-ca.gov.uk which isn’t going to go straight to him so you could post him a letter. The Mersey Estuary is a truly wild place in amongst heavily developed and densely populated areas. In the Mersey Estuary, unlike many other estuaries like the Dee or Ribble, the river has never been tamed or its channel straightened. The river is very dynamic and can meander and move naturally creating extensive areas of food rich mudflats and saltmarsh. People can walk along its north shore along the Mersey Way and appreciate an untamed wilderness. The Mersey estuary is the 11th best wetland in Britain for water birds. It is the best place in the UK for a small wading bird called Dunlin and a large and colourful duck called the Shelduck. This winter we recorded a record-breaking number of over 68,000 Dunlin. Internationally important means it is host to more than 1% of Europe’s population and nationally important it holds more than 1% of the UK’s population. For dunlin 68,000 is 20% of the UK’s birds. All of these birds rely on the intertidal area which are a very rich food source. Any barrage that will reduce either the amount of intertidal area or the amount of time it is exposed and available to birds will have an impact on these birds. The real untapped potential for the Mersey is its potential as a wildlife visitor attraction. There are few publicly available nature reserves within the Estuary, for the 11th best wetland that is an opportunity being missed. There have been proposals before for a barrage but they meet a problem, to preserve the value of the estuary to birds you need to provide mitigation. Recreating intertidal areas, in particular mudflats, is extremely expensive and technically almost impossible to do with any certainty and there are very few if any suitable sites as most of them have been developed or “reclaimed” in the past. 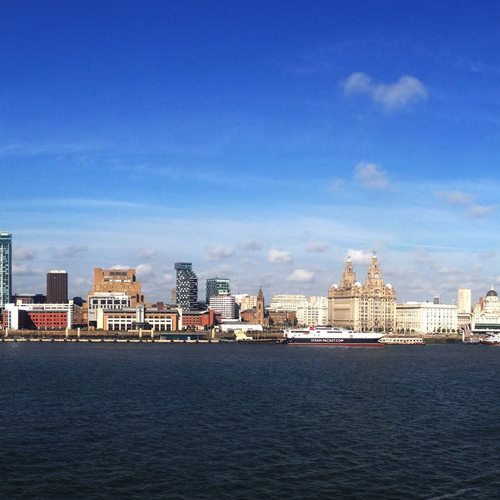 Liverpool's Mersey tidal scheme has been granted initial funding. Below is a reply from the mayor to one of my WeBS counters after he wrote to him. I have also written to the Mayor, see below, and suggest you do so as well expressing your concern and asking to be consulted/kept informed. I attach some facts about the Mersey and its birds. Gary and I will also write as part of MECG. The only email address I have is info@liverpoolcityregion-ca.gov.uk which I thought might not get to the mayor so I have posted a letter too. It would also be worth writing to your MP, especially those that represent part of the Liverpool City Region. I have just read that a feasibility study looking at generating tidal power from the River Mersey has been awarded funding by the Liverpool City Region Combined Authority. Each month I co-ordinate about 30 volunteers who count the birds on the estuary. We have been doing so since the 1950s. I have been counting since the early 1990s. This data has shown that the Mersey Estuary is the 11th best wetland for birds in the UK. Previous proposals to generate tidal power from the Mersey proved not only to be very expensive but also environmentally damaging. I note from your web page on the Liverpool City Region website that you intend to “make Liverpool City Region the greenest UK City Region by safeguarding our natural environment and setting standards for sustainable development, renewable energy, and low carbon solutions” I am concerned that this statement may not be achievable if an environmentally damaging option is selected. The Mersey Estuary is internationally important for birdlife and is protected as Special Protection Area for Birds and by the Ramsar Convention, the highest level of protection that can afforded to wildlife sites. It is designated because the intertidal areas make it the best place in Britain for dunlin and shelduck. These birds rely on these intertidal areas and anything that will alter, either in space or time, the amount of intertidal area will have an effect on these birds. I know the project is at an early stage and you do not have a preferred option yet. However, I would like to be assured that, in line with your statement above, you will not progress a scheme that will have significant negative impacts on the estuary’s birdlife. I would also like to be kept informed as your study develops so that I may contribute my knowledge so that such a scheme can bring the benefits of tidal power without the damaging impacts.